Wouldn’t it be nice if opportunities for your art business just fell in your lap? We can hear you shouting “YES!” at your screen from here. But sadly, that’s not how it usually works. If you’re trying to make a living as a professional artist, you are probably going to have to put in the work to make that dream come true. We are here to reassure you, though, that it’s possible to set yourself up for success. 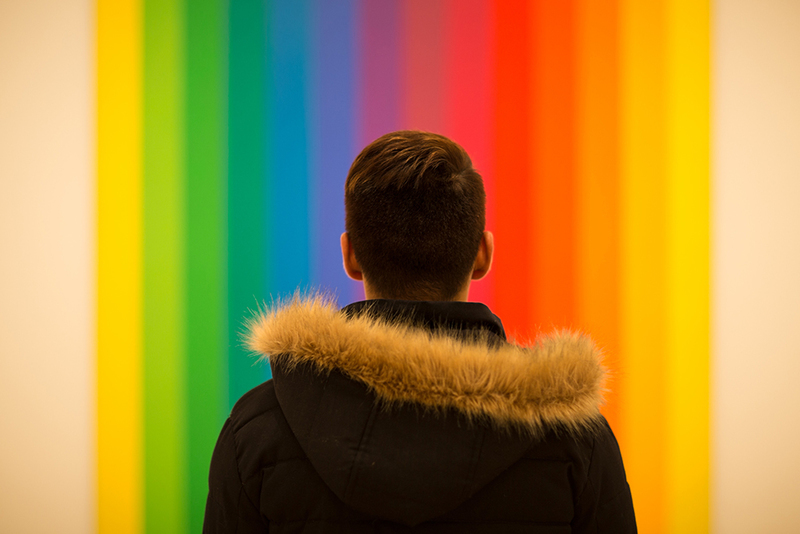 In fact, there are plenty of things you can do to increase your opportunities in the art world. From your organizational habits to your online presence, take a look at these five key ways to open doors for your art career. If you want more opportunities in the art world, you are going to have to do more than simply stay in the studio. What can you do? Offer commissions, teach workshops, give an artist talk, sell prints, try licensing and merchandising, dabble in print-on-demand, or host a podcast. Not only will this provide you with more revenue streams, but it will get your name out there, help you network, and give you an enormous amount of activities to add to your resume. Imagine being so organized that at the drop of a hat you can find the contact info of that one gallerist or the story behind that one drawing. Little details like this can often lead to big sales. But, when artists aren’t organized, they miss out. Using organizational systems like Artwork Archive can help you keep track of your inventory, clients, piece locations, competition dates, sales and expenses, important documents, art business insights, and other to-do’s. Cloud inventory helps you run your art business much more effectively. You’ll save time, appear more professional, and meet deadlines—increasing your opportunities in the art world considerably. We’ve said it before, and we’ll say it again: you can’t afford not to have an online presence these days. Why? Interested buyers can find you more easily which increases the likelihood of selling your art. Thanks to social media sites like Instagram, artists are getting discovered without the need of a gallery. Posting fun content on your Facebook page or blog builds your credibility. Plus, a professional-looking Artwork Archive Profile Page can help you impress and connect with potential customers. Focus on choosing the right social media channels for your art business goals. But, be warned! If your online presence is not up-to-date, lacks consistent posts, or looks unprofessional, people may question how serious you are as an artist and choose to forgo your art. And, nobody wants that. This is our favorite mantra, and it should be yours too. Whether you are submitting work to a juried show, photographing your art, posting on social media, or building an online portfolio, you’re only as good as your best work. At least that’s how potential buyers will see it. Demonstrate to the world that you are a master at your craft by sharing only high-quality work. And, that includes anytime you talk, write, photograph, or post about your art. You’ll be taken more seriously, skyrocketing yourself from amateur to professional in the eyes of the art world. The studio is a comfort zone for many artists. But in the art world, being social is something you can’t afford to avoid. The more connections you make, the more opportunities you will learn about. Joining artist organizations and taking advantage of the community of artists around you can be invaluable. Even previous art customers can be the perfect audience to reach out to because they’ve already fallen in love with your work. By connecting with others regularly, you’ll learn how to make a sale, what improvements your art might need, or who you need to talk with to hear about more opportunities. While it may not always seem like it, the opportunities for artists are endless. It just takes a little hustle and going beyond the studio to find them. Putting yourself and your art out there will help open doors for your art business in surprising and valuable ways. Want to keep your art business organized? Sign up for your free 30-day trial of Artwork Archive here.